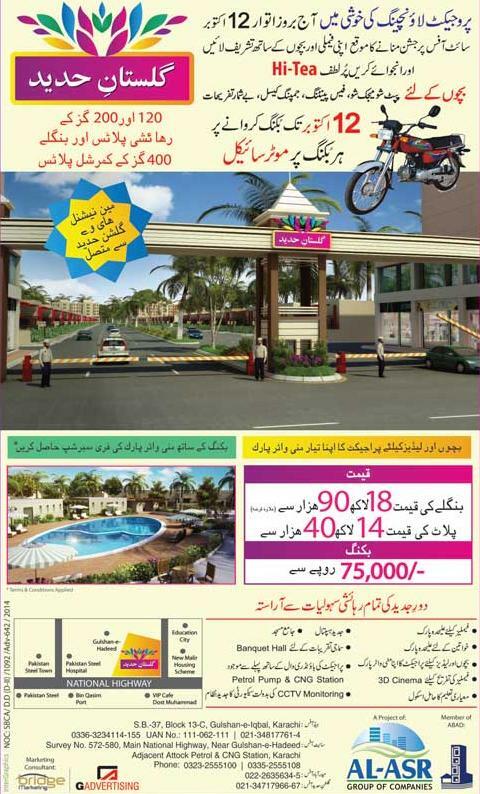 Karachi (Sunday, October 12, 2014) – Gulistan-i-Hadeed Housing Scheme is a Project of Al-Asr Group of Companies. It offers residential plots of 120 and 200 squire yards. It has also bangalows of size of 120 and 200 Sq. Yards also. Commercial plots of 400 squire yards also for sale. Hi Tea:- Today on Sunday, October 12, 2014, Family entertainment and food festival is being celebrated. Site Office:- Survey No. 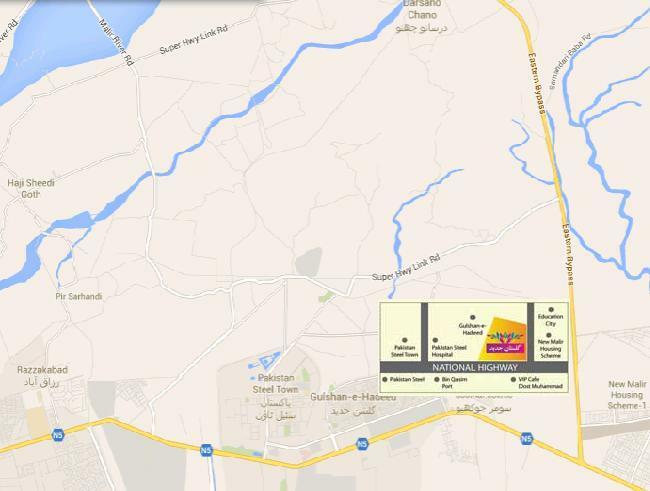 572-580, Main National Highway, Near Gulshan-e-Hadeed, Adjacent Attock CNG and Petrol Station, Karachi. mill or Al Asar group so what will happen ahead. This project launched in October 2014 now 1 August 2017 still not develop why? HOW TO CHECK IT is fake or real and approved by govt. authorities. it was introduce in 2015 and now in 2017 it is not develop. what is surety that we not lost out investment. i just wonder if you have any housing scheme even in lahore?